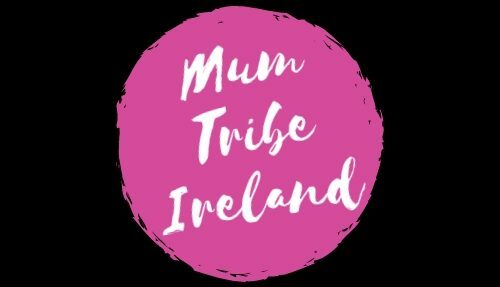 Mum Tribe Ireland originated in Cork, however once the word spread across the country mum’s called out for #mumtribemeetups in their local area, so #mumtribeambassadors quickly started popping up in different locations to keep up with demand. Find your local #mumtribeambassador below. Can’t find your area, or would you like to get involved? Just fill in the contact form here and we will be in touch. Lauren from @laurenandindi is originally from Edinburgh and have lived in Dublin for 5 years. She has a 20 month old daughter called Indi and yet have struggled finding mum friends. She was diagnosed with PND at 6 months post partum and still struggle through it which is why she joined @mumtribeireland, to have some non judgmental lovely ladies to chat and laugh with! She’s looking forward to seeing #mumtribe go from strength to strength! Jessica from @mymooandroo is a published parenting blogger. She writes about her life as a new stay at home mum to two under two. Wellbeing obsessed and go with the flow enthusiast. 1 part sleep. 3 parts servant. 5 parts coffee. Lorraine from @globebaby_II is Mammy to Leticia (2) and Reagan (7 months). She loves travelling and just returned home a year ago after having lived abroad since 2008. The transition was interesting and shes I’m focusing on motherhood and her two little crazies. Lorraine is all about less judgement as a parent; it’s already a stressful enough time as it is. We need to empower each other and help each other through the tough days. She wants to bring the fun back into “mammying”. Margaret from @hisfriendthefox is from Cork but living in Clare and loving life as a Mom of two! She’s also a primary teacher so it’s just constant play and endless cups of coffee for to get her through the day! She loves being a #mumtribeambassador because she feels #mumtribeireland has been a great way to connect with other mammies about their lives as Mum’s as well as having plenty of banter! Paulina from @gingermumlife is a mum of 2 boys via c-section under 2. She set up her instagram to show how loving, boring and amazing motherhood can be but at the same time she still wants to feel like the person she was before she had her sons. Since becoming a Mum she barely has time to change nappies never mind have a cup of tea. I’m looking forward to meeting mums in my area and making new friends! Ellen from @melenellen is a mum of 1, wife of 1, human person in her own right also. Always up for the chats. Coffee obsessed but not a hipster… she followed @mumtribeireland on insta not knowing what to expect. She found what she needed for the isolation she had experienced post partum. The vision of #mumtribeireland is the answer to all of her “why isn’t there a group that..?” pregnancy and post partum questions and shes delighted to be part of that! Lauren from @wonderfulandwicked is a 22 year old mother of 2 boys, 3 years old and 10 months old. She’s looking to meet some mothers with similar interests as her and for her kids to make some friends!